Since joining Winchester College earlier this year as the new Master-in-Charge of Golf, Robert Moore is following on with his predecessor’s initiative for the School to re-establish ties with Hockley Golf Club. The club is also very keen for this relationship to strengthen and, with that in mind, has provided a generous offering to all Old Wykehamists to play 18 holes at any time for the reduced fee of £20 (50% of the normal member’s guest fee). Hockley is now without doubt one of the finest courses in the region. With their centenary year in 2014 they have spent several years improving the course and practice facilities. 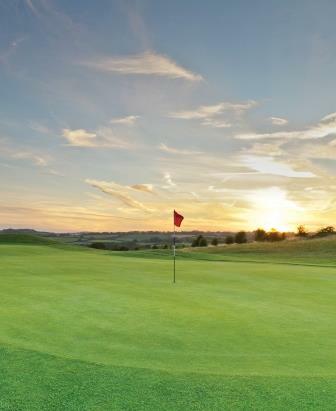 Combined with a new green-keeper at the helm, the course is currently in excellent condition, so to be able to play there for just £20 really is a great opportunity. For those of you unfamiliar with the course or in need of a reminder, you can view it on their website. Hockley, as a members club, has been very kind at this stage in not insisting upon players associated with Winchester College having official handicaps. May we politely suggest however that a basic proficiency for the game be considered a pre-requisite and all the usual rules apply in terms of golfing attire and etiquette, with which we are sure all the golfers amongst you are very familiar. The only other caveat to all this being that an attempt is made to avoid the very busy Saturday morning period for Hockley members. If you would like to partake in this offer, all you will need to do is sign in as guests of the school in the Pro Shop, where green fees will also be payable. It may be prudent to contact the club prior to playing to ensure there are no events taking place at the time you wish to play. The club will monitor usage and may contact me with the names of those who enjoy a round, simply to ensure that the system is not abused by others. If you have any questions please contact Robert Moore, Master-in-Charge of Golf.